What to do when you end up having a refrigerator overstocked with Guinness stouts? We had already made miniature Guinness cupcakes but a whole four dozen of them barely used up a single bottle. Darn. How else to use them? What about something savory? 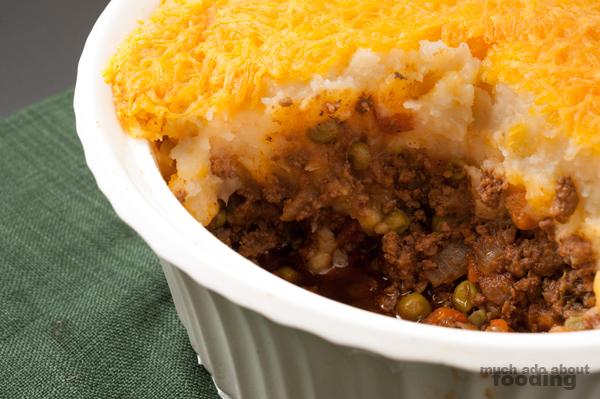 I somehow landed on the idea of using it in a cottage pie which is practically identical to a shepherd's pie except it uses ground beef while the latter, more commonly known one is supposed to use ground lamb. Now when you cook down the beer to the degree that I did for this pie, you don't get the alcoholic taste but rather the subtle sweetness that comes with tasty stouts. Go ahead and try this recipe out; I even invite you to experiment with other stouts of your choice to see what other flavor profiles you can bring out! 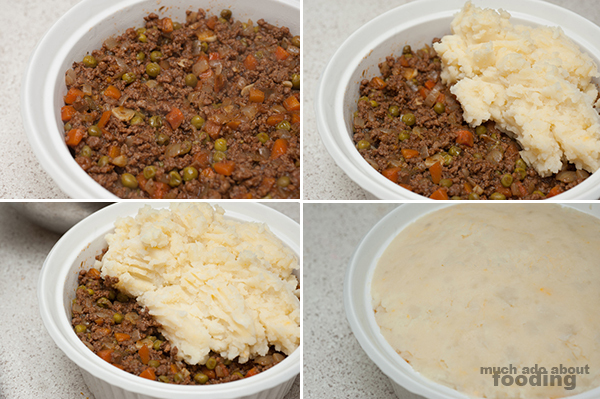 This recipe involves two components - the beefy filling and the mashed potato topping. 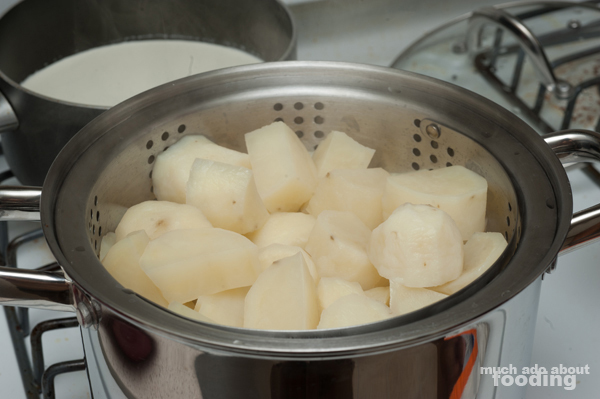 A lot of mashed potato recipes will ask you to boil your potatoes but I like to steam my potato chunks so I don't lose any of the starch into the water. So peel, chunk, and steam those bad boys for 10-15 minutes or until tender. 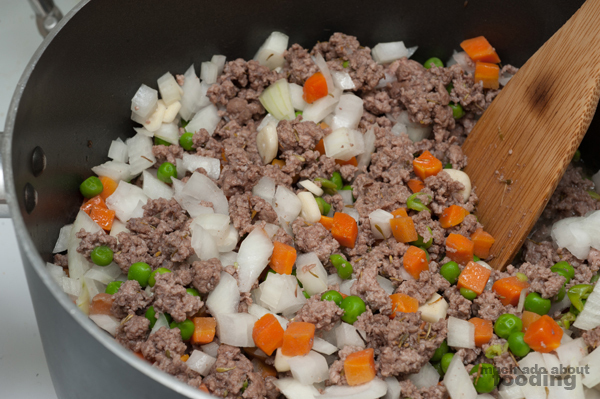 In a large skillet or pot, brown ground beef on medium high before adding in peas, carrots, onion, garlic, and thyme. In a separate bowl, combine tomato paste, worcestershire, and Guinness. Once meat has browned and onion has become translucent, add liquids. 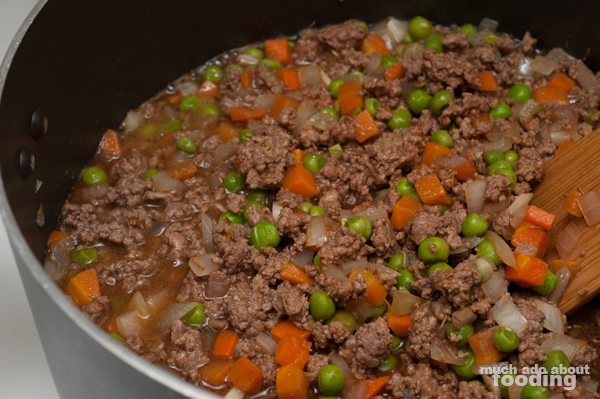 Reduce liquid to 50% of volume before adding in broth. 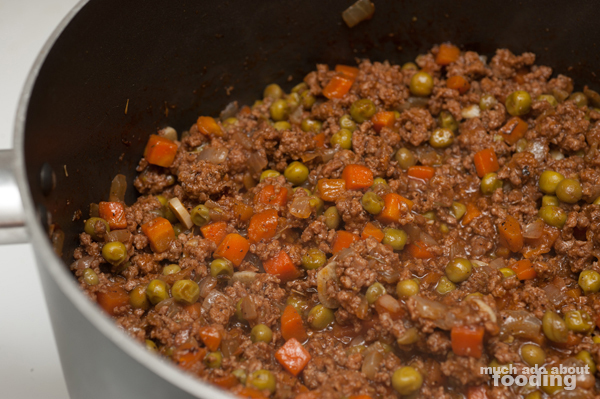 Let simmer for 20 more minutes or to the consistency you want your filling to be. Preheat oven to 350°F. Then add in salt, pepper, and nutmeg. Remove from heat. 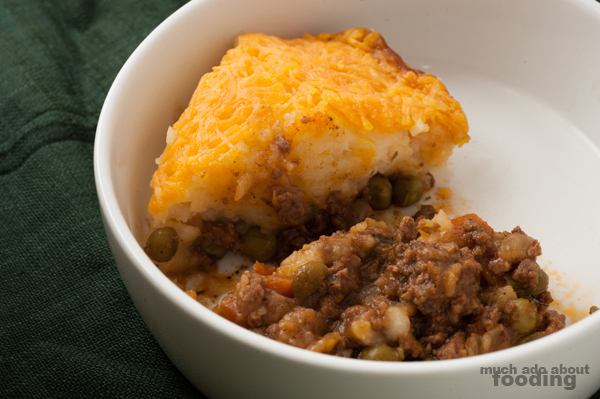 In a separate bowl, mash together potatoes with cream, butter, and 2 Tbsps of Cheddar cheese until smooth and creamy. Spoon meat filling into the bottom of a 2 qt baking/casserole dish. 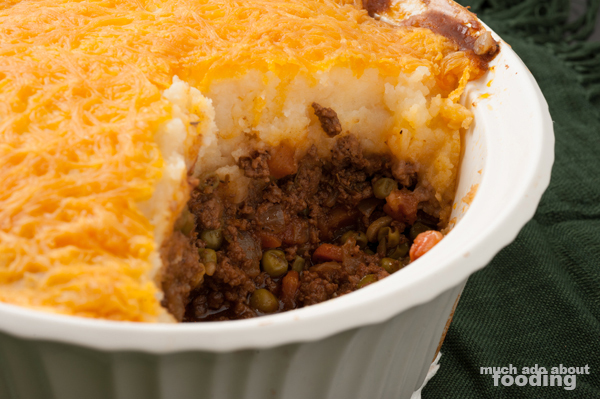 Spread mashed potatoes on top. 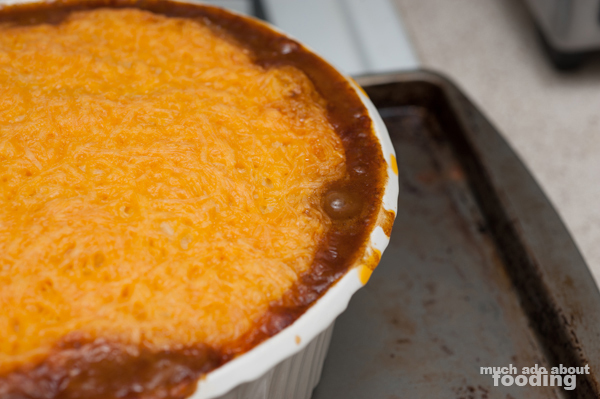 Use a fork to rough up the surface before adding on remaining Cheddar evenly. Place dish on top of a baking tray in case the filling bubbles out like it did in mine! 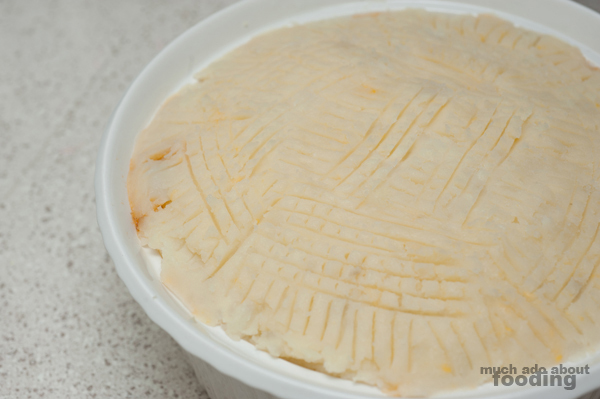 Slide into oven and bake for 30 minutes until cheese has created a firm crust. Remove, let cool, and enjoy.